Little boys give little thought to what it takes to be a man. They just know they want to be like dad, or some other hero. Adolescent boys don’t have a clue about what a real man is — they just want to prove to their peers that they are. Adult “boys” often give up trying to find out what makes a genuine man’s man and in doing so finally settle for living life for themselves. Thus settling for far less than what God intended. Christ Jesus lived on earth setting an example of what it looks like to be a man’s man. We are to follow in His steps (I Peter 2:21-24). Becoming like Christ is God’s objective for you on this earth and it is the only way to becoming a man’s man! Take a read through the gospel of Mark. You’ll see. You’ll see a man’s man. 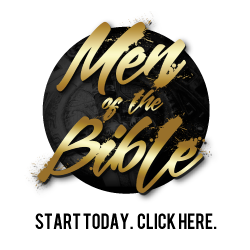 In short, the Jesus of the Bible is a man. A man with a mission. A man with a purpose. A man with great confidence. A man who had put his mind to the job he came to do and let nothing stand in his way! And that job was your salvation and mine. Thank God in heaven that Jesus is a man. Thank God in heaven that Jesus is not a wuss! So gentlemen this is God’s aim for your life, that you become like Jesus Christ, the man’s Man. He is not only the visible image of the invisible God, but also the visible image of what God intends a man to be like. This is what sanctification (becoming holy) is all about: not some vague spiritual thing, but becoming like Christ. You are standing before God in the righteousness of Christ. And you grow into His likeness by grace in dependence upon His power. This is God’s intention. – Article was contributed by Tim Chastain. Director of Men’s Teams for the Master’s Men.